All around me I'm starting to see signs of spring. The temps are getting higher, the snow is melting and the birds have returned and started singing. 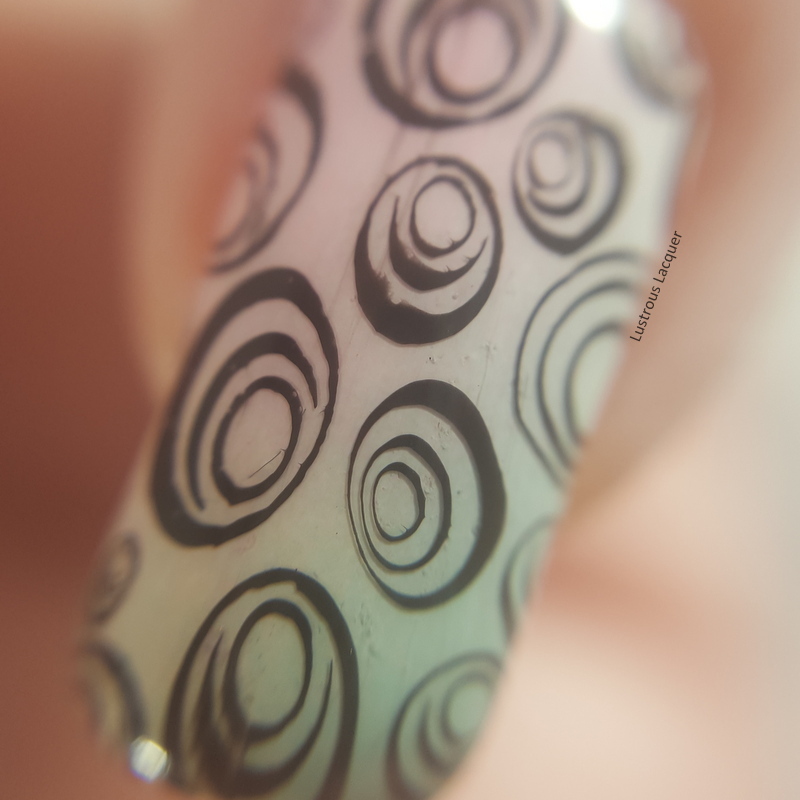 That means it's time for some softer colors on the blog and I'm well overdue for some nail art. I did promise more nail art in 2018 and I haven't shared any in almost 3 weeks. I've decided to combine both for this post with a pastel gradient and a little bit of stamping. I used all Sally Hansen polishes in my gradient because to be honest I had them handy and I was just messing around with the polishes on my desk when I did this. Plus I wanted to try out the new liquid latex I'd just picked up from Ribbits Stickits; Un-Frog-gettable cuticle cover in Plain Toad. 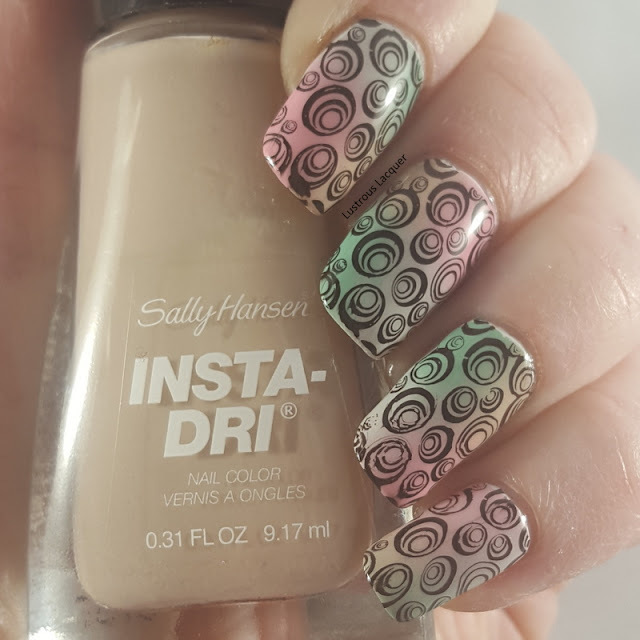 You might remember me mentioning all the Sally's I've picked up on clearance lately and haven't put away in my Vinyl Valentine's look which ironically, was the last nail art post I shared with all of you. I'm happy to report that while I was procrastinating writing a blog post I put all those polishes away where they belong and can see a portion of my desk once again. The polishes I used are all from the Insta-Dri line and are Pink Blink, Seize the Gray, Jade Jump, and Sand Storm. 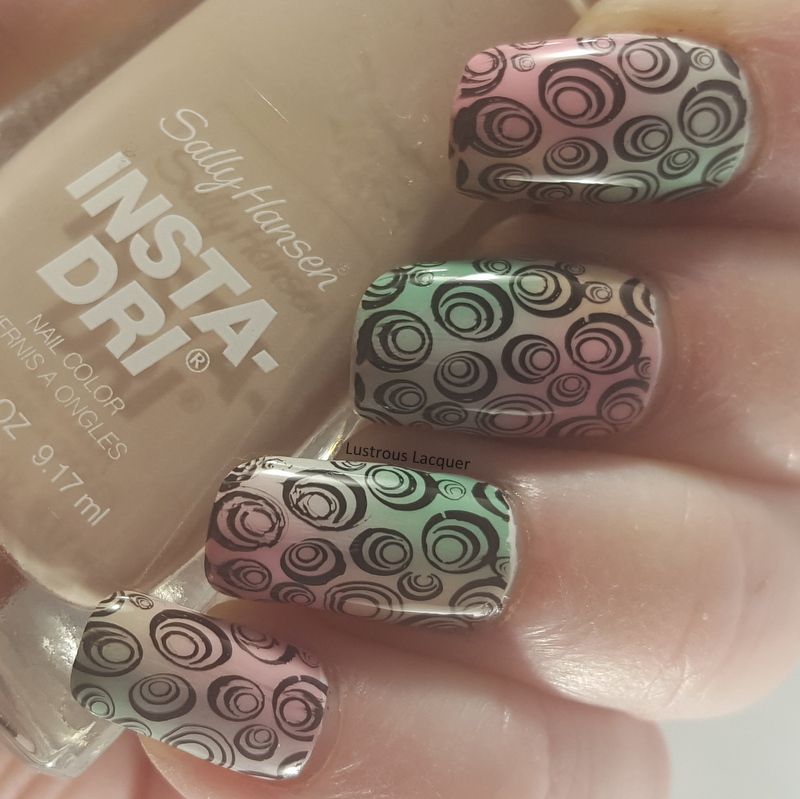 These polishes blend beautifully when doing a gradient and the colors flowed together so nicely that even though I was just messing around and had no intention of sharing this on the blog once I saw the finished look I knew I had a manicure worth sharing. For my stamping, I used Hit the Bottle As Black As Night and Shandy plate SH22. I wanted to use an image plate from a brand that I don't reach for often and the circle image seemed like a fun one to use without covering up too much of the gradient. I have to say I was really impressed with the Un-frog-gettable cuticle cover. It applied evenly, dried quickly and removed in one easy piece. Have you ever just been playing around with your nail polish and come up with a blog-worthy look? Thanks for stopping by and Happy Polishing!